(Aug. 25, 1944) - Pfc. 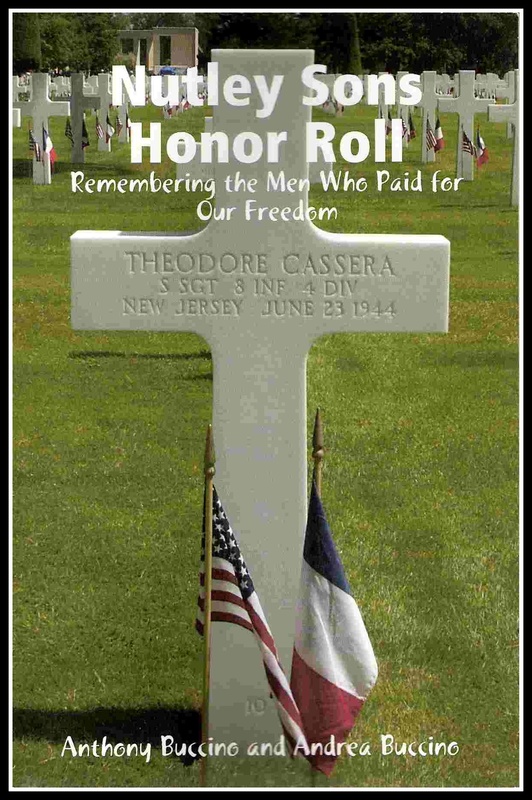 Walter Mihalchuk of Gless Avenue,, Nutley, N.J., was killed in action on July 3 in Normandy, France. Pvt. Mihalchuk was the nephew of Mr. and Mrs. Michael Opanaski of Gless avenue with whom he had lived for the last 16 years. 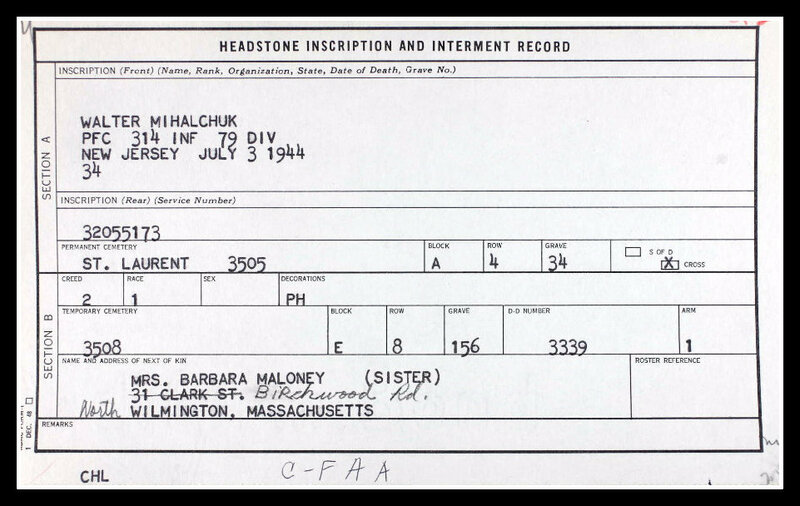 Born in 1916, Mihalchuk leaves two sisters, Barbara Mahoney and Mrs. Mary Doner, both of Boston. Pvt. 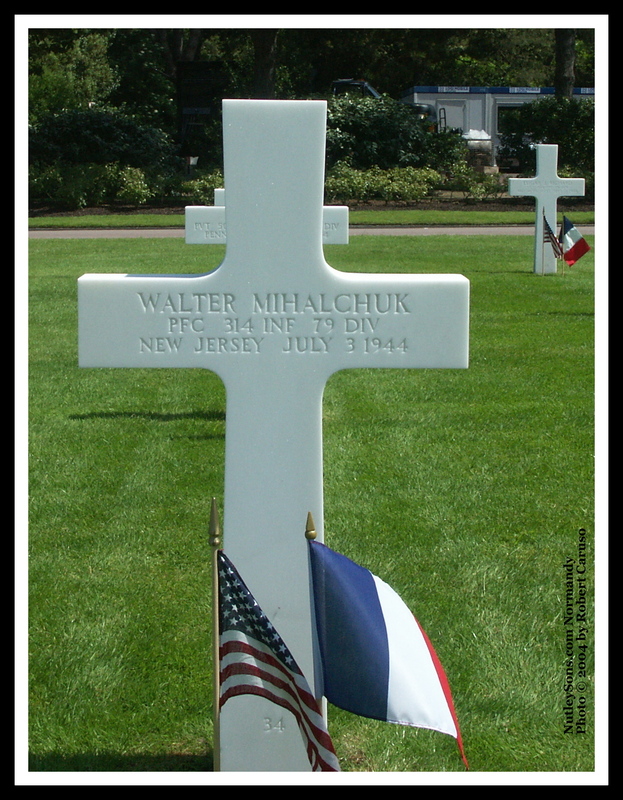 Mihalchuk, of the 314th Infantry Regiment, 79th Infantry Division, is buried at Normandy American Cemetery, St. Laurent-sur-Mer, France, at Plot A, Row 4, Grave 34.